VTI Vacuum Technologies, Inc. at Space Tech Expo 2017 | VTI Vacuum Technologies, Inc.
At the end of May, VTI Vacuum Technologies will be in Pasadena, CA for the 6th annual Space Tech Expo, a gathering of professionals involved in every part of the space supply chain. Last year’s Space Tech Expo and Conference hosted 241 exhibitors and over 3,000 attendees. Most attendees were engineers, but there was representation from sales management, C-suite, marketing, and project management professionals, among others. It truly is for anyone who works in the space technology field. Pasadena is a great location for a space meeting due to its proximity to the Jet Propulsion Lab, the federally funded R&D field center. The conference also boasts keynote speakers from key space companies, such as Eric Stallmer from the Commercial Spaceflight Federation and Tim Maclay from OneWeb. While some of the presenters will talk about the possibilities of commercial space flight, many of the speakers and talks will be to encourage using space technologies for broader applications, such as providing internet access via satellite, or coming up with cyber defense solutions that can be housed extraterrestrially. Space technologies are the future for many industries, and the Space Tech Expo will be a great exploration of all of the potential. 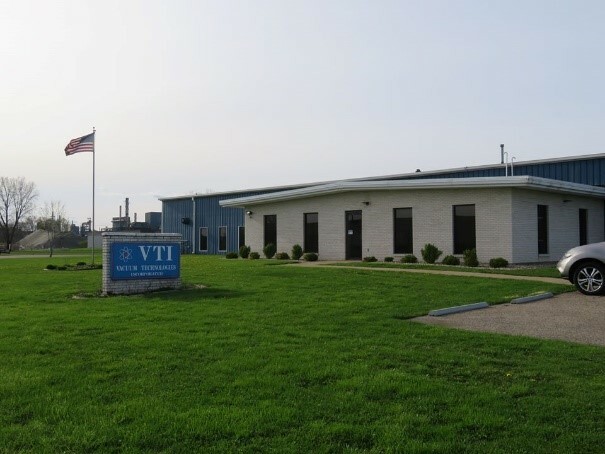 This is VTI Vacuum Technologies’ 2nd year at the expo, and we look forward to seeing you there! Click here to receive a free exhibition pass. If you can’t make it to this event, be sure to check out our other upcoming appearances! Tuesday May 23rd 12:00 p.m. – 6:00 p.m.
Wednesday May 24th 9:00 a.m. – 5:00 p.m.
Thursday May 25th 9:00 a.m. – 3:00 p.m.
For more information please visit the Space Tech Expo website.